eBay. It’s a household name that is familiar right around the globe, but it’s not the best place to sell your old phones for cash. Don’t get me wrong, eBay is awesome for a lot of junk you want to sell but we are about to open up a can of worms here as we show you why SellCell is a much better place to trade in those phones and tablets. With eBay you have that long drawn out process of creating a listing, taking photos of your items, and writing up a description on what you are selling. Sure, you can put your own price tag on that item – but what if it doesn’t sell? What if you start the bidding low and it sells for a fraction of the price? This has happened to a lot of eBay users. a) Someone in a different country. b) Someone who has no intention to pay. All the buyers that feature on SellCell are vetted before they come on the site, and then we make regular checks to make sure that the service they are providing continues to operate on a level that is second to none. What eBay do well is make you think you have just sold your phone for $300 – but that’s not true. eBay are quite sly in the manner that they charge their fees as they don’t take it off your “sold for price”. Instead this comes out separately a few weeks later. Plus, add on those PayPal fees and that $300 soon becomes a lot less. 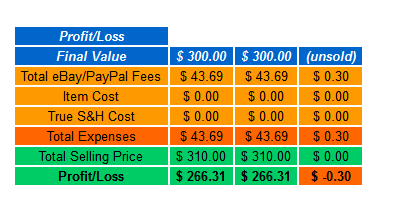 In fact, let’s take a look now at how much you really get back when you sell a $300 phone. Your standard insertion fee into the Consumer Electronics category is $0.30 – not too bad. Then expect to pay another $12.39 in PayPal charges. So when you sell your phone for $300 and think, yey $300 in the back pocket. Think again, as it’s actually $266.31 you are getting as eBay and PayPal take the other $43.69. Easy really. The price you see is the price you get. 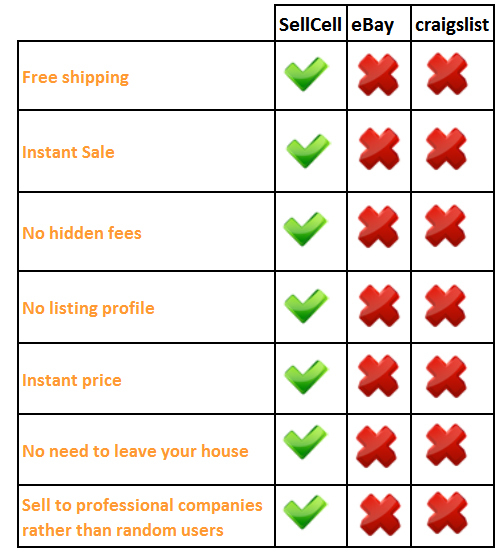 There are no listing fees, advertiser fees, final value fees, insertion fees, and any other fees I have missed. As long as you send in the correct device in the condition that you stated, the price you see on SellCell.com is the price you will be paid.